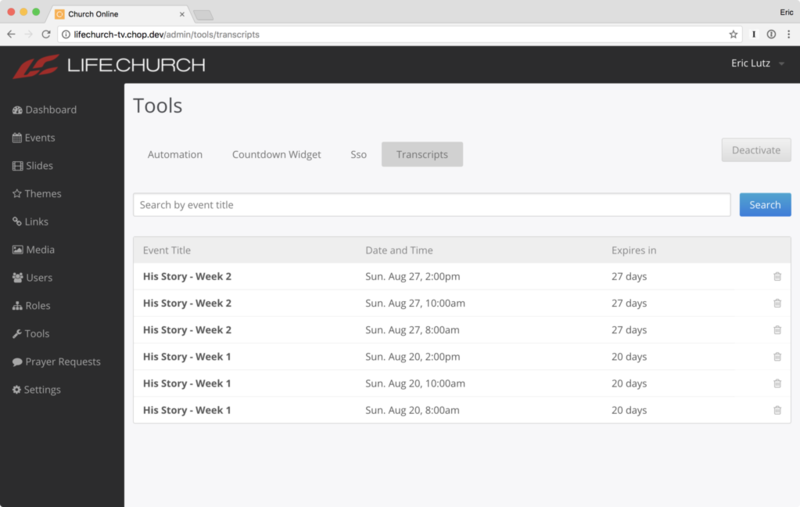 The Church Online Platform allows you to access transcripts from your public chat for previous events. Once this feature has been activated, transcripts will be generated for each event and be available for 30 days. Saving transcripts requires that you are familiar with the data and privacy laws in your country. First, you must have the correct permissions to access transcripts. To get and set permissions, you can go to: Admin>Roles>Edit the role you want to give permissions to>click on "Access Chat Transcripts">Press Save. To activate transcripts, you will need to go to your admin and then to tools. From there, click "Activate". 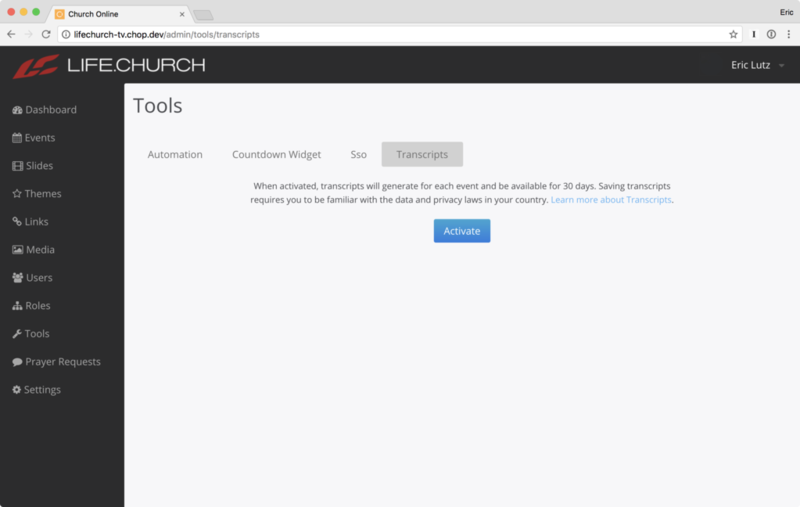 Once you have activated the transcripts, you can go back to the tools tab and view the transcripts.